On December 7, Marvel Studios finally released the trailer for “Avengers: Endgame,” the much anticipated follow-up to last summer’s mega-hit “Avengers: Infinity War.” Within minutes of its release, the internet exploded with enthusiastic reactions and brand-new fan theories. And what kind of Marvel fanatic would I be if I didn’t contribute to the hype by giving my own frame-by-frame analysis? 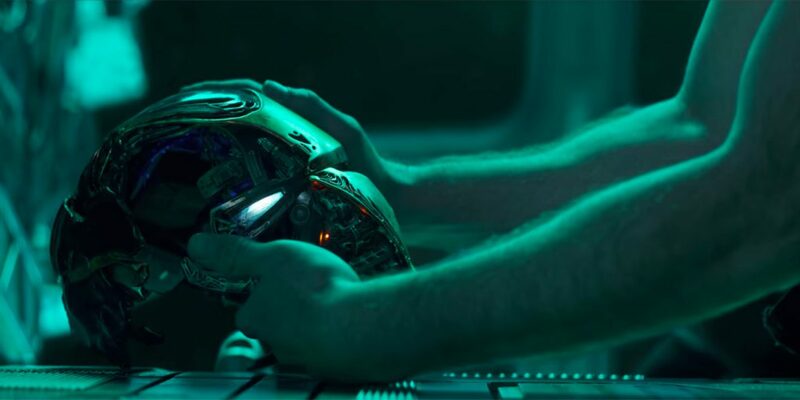 The first minute of the trailer just focuses on Tony Stark, who is adrift in space and using what’s left of his suit to leave a message to his fiance, Pepper Potts. Through this, we infer that he has been stuck in space for some time; his food and water running out four days prior, and oxygen set to run out by the next morning. “Infinity War” left Tony stranded on the planet Titan with Thanos’s traitorous daughter Nebula, emotionally broken after watching his companions (young protegé Peter Parker included) disintegrate into dust. It appears that he has taken the Milano, the ship belonging to the now nonexistent Guardians of the Galaxy, in an attempt to make it back home. However, this trailer scene doesn’t explain how far he managed to get, or what has happened to Nebula. And of course, there’s the question of how Tony, who thus far has been the leader of the Avengers, will escape this situation and reunite with his teammates. After this depressing opening, we see a quick glance of Thanos’s discarded armor as he walks through a field of flowers. We still don’t know where he teleported to after “the snap,” but knowing that he still holds the Gauntlet and all the Infinity Stones, it seems obvious that the Avengers will have to track him down in order to reverse the damage he has done to the universe. Also during this segment, we see the remaining Avengers–Thor, Natasha, and Steve (who has thankfully shaved his beard)– mourning the loss of fifty percent of all life in the universe. A flashing hologram in the background quickly shows us some of the people missing: Peter Parker, who we already know was a victim of the snap (however, the Avengers only know that he went into space with Tony, so they don’t know if he’s alive or not), Scott Lang, who we know was trapped in the Quantum Realm at the end of “Ant-Man and the Wasp,” and Shuri, whose fate has previously been unknown. Assumedly, this means that King T’Challa’s feisty little sister turned to dust with him, which is a disappointment to the many fans who hoped she would take up her brother’s mantle of Black Panther in his absence. Clint Barton also makes a quick appearance, showing off a new suit and wicked blade to replace his bow and arrow as he stands over several bodies. Clint was noticeably absent in “Infinity War,” as he had agreed to hang up the hero title in order to be with his wife and three young children. The outfit he wears in the trailer is extremely similar to the one he dons in the comics as the superhero Ronin, a darker version of himself. Seeing as he is shown as Steve’s comment of everyone losing family is played as a voiceover, it seems safe to assume that Clint has taken the role of Ronin as a result of his family dying in the Snap. The trailer’s somber, depressing tone is shattered in the last thirty seconds as Steve and Natasha stare in shock at Scott Lang’s sudden arrival at the Avengers base. While the moment does inject a dose of the characteristic mood-lightening Marvel humor, it also ends the trailer on a mountain of new questions. How did Scott escape the Quantum Realm? Did he go through one of the “time vortexes” that Janet van Dyne warned him about in the mid credits scene of “Ant-Man and the Wasp?” What role will that play in the film? The trailer also has some noticeable absences. Rocket, Rhodey, Okoye, and M’Baku were the only main characters other than the original Avengers and Nebula to survive “Infinity War,” and all of them fail to make an appearance. There is also no mention of Captain Marvel, whose first film hits theaters a little more than a month before “Endgame,” and whose help Nick Fury frantically calls upon in the end credits scene in “Infinity War.” Finally, the trailer doesn’t showcase a single action scene. This is strange for Marvel, a studio that has been criticized in the past for showing so many action clips in previews for some of their other movies. Instead, the trailer was calm and serious, the majority of scenes displaying characters in quiet conversation. Is this an indication of the tone of the film to come? All of these questions will be answered come April 26, 2019. Until then, all we can do is survive the suspense and pray that Tony can do the same.